A periodontist specializes in the prevention, diagnosis, and treatment of periodontal disease, as well as the placement of dental implants.  At the office of Scott Young, DDS, the highly trained team provides all aspects of periodontal services to adults in The Woodlands, Texas, and the surrounding communities. 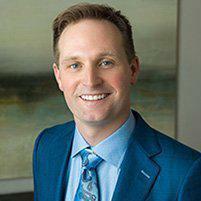 Scott Young, DDS has a board-certified periodontist on-site to perform surgeries and effectively treat gum disease. To schedule an appointment, call the office or use the online booking feature for state-of-the-art periodontal treatments. A periodontist specializes in oral surgical procedures, as well as treating oral soft tissue conditions like periodontal (gum) disease. Periodontists are also experts in the placement of dental implants for crowns or dentures and diagnosing the cause of oral inflammation. Periodontists generally treat more problematic dental issues, such as severe gum disease or if you have a complicated medical health history. If you visit the dentist regularly for cleanings and oral exams and maintain an effective oral hygiene routine at home, you may never need to see a periodontist. But if you have gum disease, or you need dental implants, the general dentistry team at Scott Young, DDS may recommend you book an appointment with the in-house periodontist, Dr. Akers. What types of treatments can a periodontist perform? 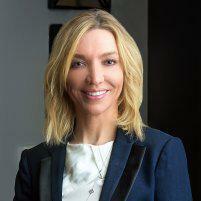 Dr. Akers uses the latest technology and treatments to keep you comfortable while restoring your gum and oral health. When gum inflammation, or gingivitis, is caught early, it may be treated with a dental cleaning. In some cases, your dentist may prescribe an antibiotic to eliminate the infection. However, untreated gingivitis progresses to become periodontitis. In this condition, inflammation spreads around the tooth and under the gums, allowing bacteria and toxins to get into the bone. Periodontitis may be treated with nonsurgical procedures called scaling and root planing, which gets rid of all the plaque and tartar on the surface of the tooth and its root. But when periodontitis is more advanced because inflammation and damage to bone is too severe, then periodontal surgery is needed to save the tooth and surrounding structures. Scott Young, DDS provides sedation dentistry if needed to ensure your comfort during either of these procedures. If you have recurring gum problems or you are considering dental implants or dentures, schedule a consultation at Dr. Young’s office. If the dental team determines that you need a specialist, they refer you to the in-house periodontist for your convenience so you don’t have to make a separate office visit to another location. Call the office or use the online booking feature to schedule an appointment today.